Source US Geological Survey, US Department of the Interior. Diagram demonstrating the Hawaii time zone difference. What is the Hawaii time zone difference? The answer is that is depends on where you are now. Hawaii is anywhere from 2 to 5 or 3 to 6 hours behind the rest of US mainland, depending upon whether or not it’s Daylight Savings. Hawaii is one of the few states in the US that does not observe Daylight Savings Time. Most of Arizona and parts of Indiana also do not observe Daylight Savings Time. Daylight Savings now begins on March 13 and ends on November 6 of each year. Hawaii is 3 hours behind the western states like California, Oregon, Washington and Nevada during Pacific Daylight Time (PDT). So when it’s 8:00 am Pacific Daylight Time, don’t call your buddy in Hawaii. This is because it’s 5:00 am in the morning in Hawaii and he’s probably still sleeping. But when it’s Pacific Standard Time, it’s only a 2 hour difference. During Daylight Savings Time, Hawaii Standard Time (HST) is 4 hours behind Mountain Time, 5 hours behind Central Time and 6 hours behind Eastern Time. When it’s Standard Time, the preceding time zone differences are respectively 1 hour less. Some websites say that Hawaii has its own time zone. At least from what we can see, that may not be totally correct. For some odd reason, Hawaii is in the Hawaii-Aleutian Time Zone. This means a small part of Alaska shares the same time zone as Hawaii. 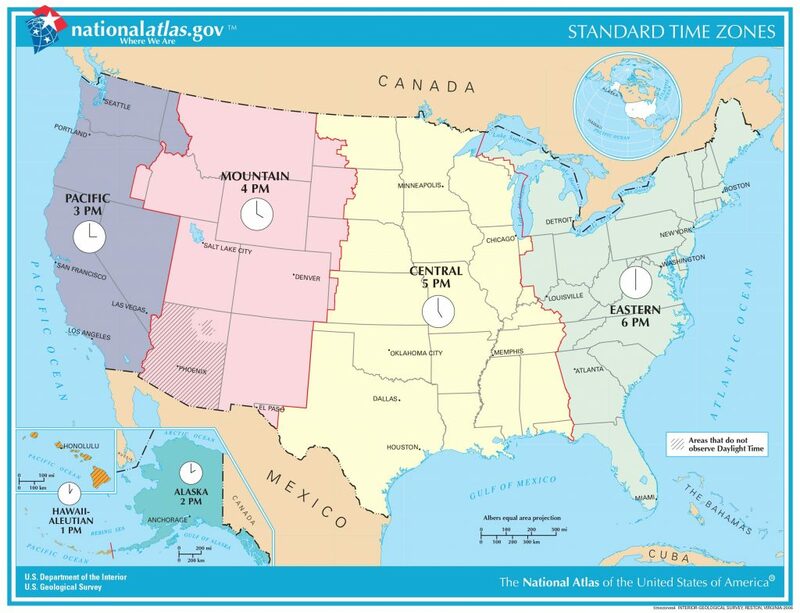 But since Alaska observes Daylight Savings, and Hawaii does not, during this time, Hawaii definitely has its own time zone. From Asia, the time difference is greater because it’s one day ahead of Hawaii and the rest of the US. Hawaii is 19 hours behind Japan and Korea. Hawaii is 18 hours behind China. Traveling to Hawaii from the US mainland has some time difference benefits. For example, if you leave on a 5 hour flight from Los Angeles to Honolulu and depart at 8:00 am PDT, you’ll be arriving in Honolulu at 11:00 am, HST. So you gained 3 hours just by flying to Hawaii and you will land in Honolulu just in time for a nice Hawaiian lunch.